I saw a piece on this lion a couple sundays ago. I think it's a little sick and messed up. Ok, it's very tear jerking and heart felt. But in all honesty I think it's cruel to keep this animal alive. 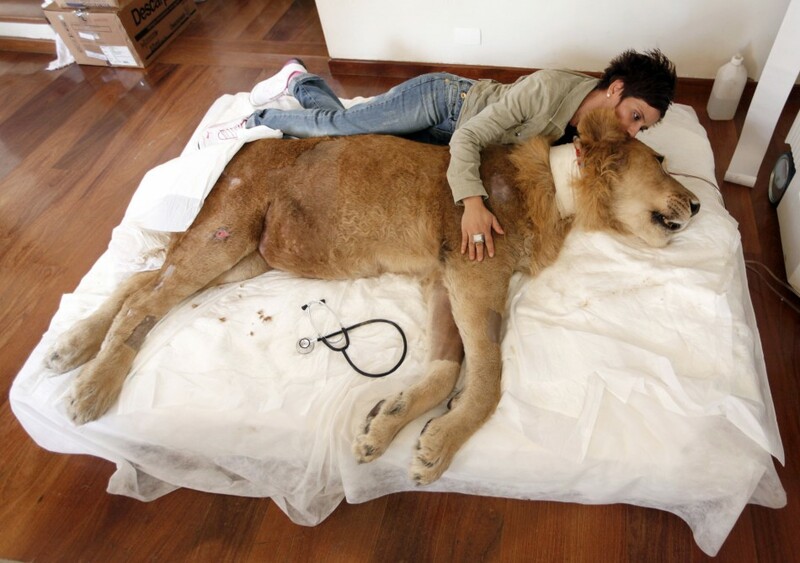 Yeah a paralyzed LION doesn't want to live in an apartment in Sao Paulo, sorry no. If this caretaker truly loved him then she would do what's best for him not HER. She seems to be eating up all this media. But really I think it's really unfair to put a paralyzed lion on national t.v., I mean at least one that doesn't have a fighting chance and say he is your world. If my husband or loved one did that to me, I would be waiting on the "staircase to heaven" for them. Too sad. But glad you brought it up.